They stood together, angled to enclose me like a pair of blonde parentheses. “We feel like we know how great you’re doing because we see you on Facebook,” said one. “I look at all your pictures,” said the other. I wanted to tell them the verb people use for that is “creeping,” as in, “I creep on all your pictures.” I didn’t. I wanted to tell the other one that what people see on Facebook is only the good stuff. Facebook is for graduations, job promotions, new babies, softball tournaments. Facebook is not for rehab, dropping out of school, cancer scares, incompetent bosses. It’s like a roster of all the delicious desserts you’ve gotten to eat, and none of the disappointing frozen dinners. This elicited light laughter. It wasn’t unsympathetic laughter. It was appreciative, and only a little uncomfortable. My husband and I had come a long way, back from New York, for the wedding of a mutual friend. Since we moved from Seattle, our friend had bought a farm, moved her business there, and rescued a bunch of animals. Now she was getting married, having planned a big wedding, marrying her best friend of a number of years. It was a circus-themed affair, and because of who it was, we weren’t scared away by a circus-themed wedding. Maybe somewhat hesitant, but we were going anyway. 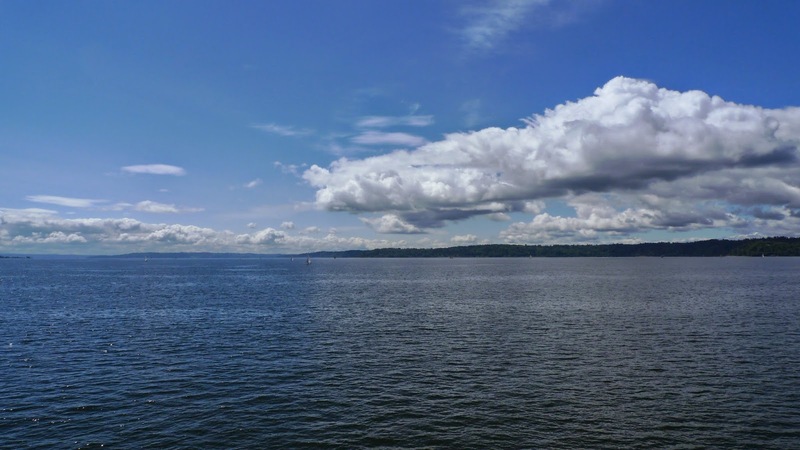 Getting to Vashon Island had included a ferry ride from West Seattle. Our morning had been gobbled up settling a monetary crisis for another friend, but we had thought we had enough time to park, walk on the ferry and be met by the shuttle bus. 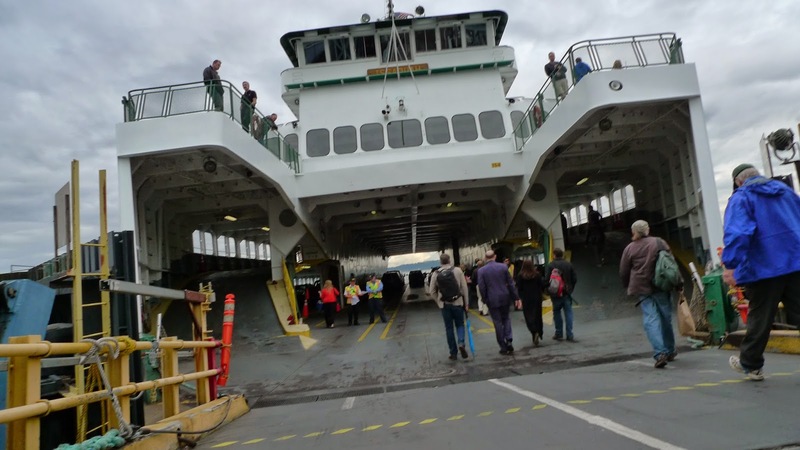 The Washington State Ferry system is a glorious relic of the days when government was big and had an important role in getting people and goods from place to place. People voted for that, and paid for it with their taxes. The white and green-trimmed ferries are huge, with several decks for cars and trucks and other decks for passengers. There is never enough parking at the smaller, neighborhood ferry terminals, but we followed the lead of other cars parked on the street. Though the neat, small clapboard houses near Fauntleroy Dock look just like the rest of West Seattle, the streets are painted with special striping, and the street signs erupt with multiple placards of all sizes and colors, facing the street in erratic angles. The signs we could see and read described the many times that parking was not allowed, during the week, overnight, but we felt we’d found legal parking for the day. After a short wait in the small terminal, we bought two $5.20 tickets and walked on. We climbed the stairs to the front of the ferry to spend our short crossing as we knew we had always loved to: in the wind and sun. It was so much as it had always been, engines thrumming, waves slapping, gulls circling that we had not so much a sense of nostalgia but one of stasis, that Seattle was unchanged and unchanging. The gloss on our feeling of expertise dulled when we walked off the ferry and saw no shuttles anywhere. We wandered around for a bit, and the Bacon Provider called for a cab. 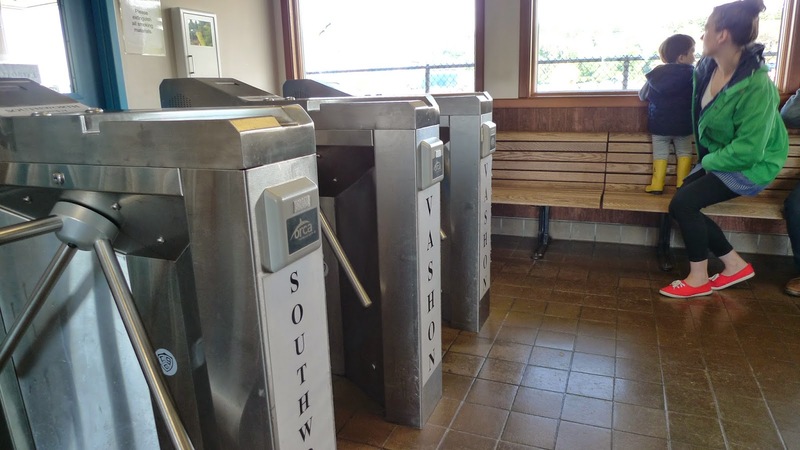 Vashon Island isn’t really the kind of a place with cabs per se. There was just a guy you could call, his name was on the Internet, and he’d send someone to get you. Our driver refused to charge us the agreed-upon $25 fare, accepting only $15, but taking the $20 offered her anyway. So we were late to the wedding, though we didn’t feel late, but we missed the ceremony in the mossy, wooded grove of giant Douglas firs where the beloved old dog was buried, and missed the entrance of the bride on horseback. So be it. We were greeted first by one old friend, and then another. People were happy to see us, asked after the kids. It was easy and pleasant. 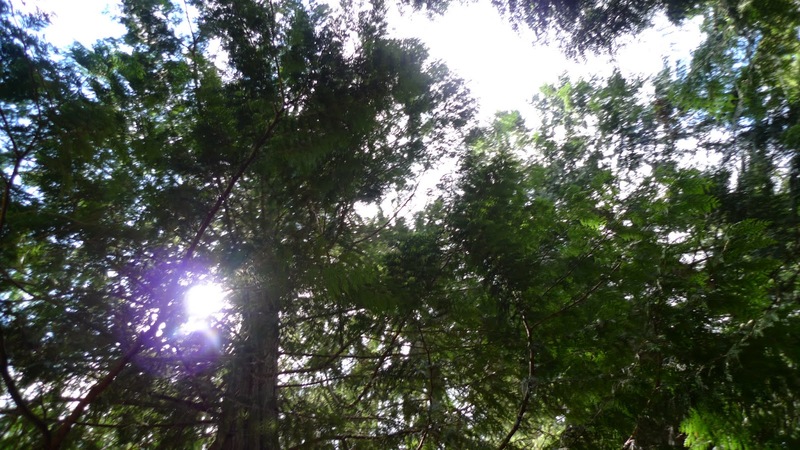 The farm is wooded and lush, presided over by tall firs and carpeted in moss and ferns. There is a trim house and neat barn and the circus-themed decorations were joyous rather than jarring. There were too many people to catch up with and not enough time. I spoke to the pair of blondes, toured the property with another friend. Someone mentioned a small nugget of real gossip, but then explained to me, in a whisper, “Another time, over a beer.” It was as close as I came to a real conversation, and it ended as soon as it started. “What do you miss the most?” she pressed. I did not answer her. Later, when we got off the ferry, our rental car was still there, but it had a parking ticket on it. Apparently one of the illegible, sun-faded signs said, “No Parking Weekends or Holidays.” The ticket was $47. We saw it and both laughed: cheap parking by New York City standards.